Chindits: Former Defence Minister Had Asked Ex-Army Chief To Sign 197 Chopper Deal At His Own Risk, Latter Refused !! Former Defence Minister Had Asked Ex-Army Chief To Sign 197 Chopper Deal At His Own Risk, Latter Refused !! 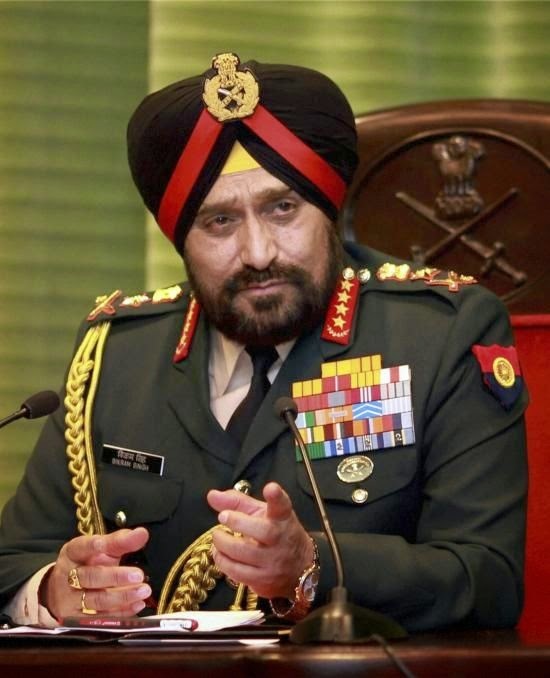 Former Defence Minister AK Antony had asked former Army Chief (retd) Gen Bikram Singh to go ahead and sign the 197 chopper deal at his own risk, but the Chief had refused, obviously fearing controversies post his retirement. I met former Army Chief Gen Bikram on Jan 13, 2014 (his last Army Day press conference) at Manekshaw, and asked him about the deal, he said there was a CBI inquiry on and he was waiting for the results, only after which a decision would be taken. He retired, no decision taken and deal axed. 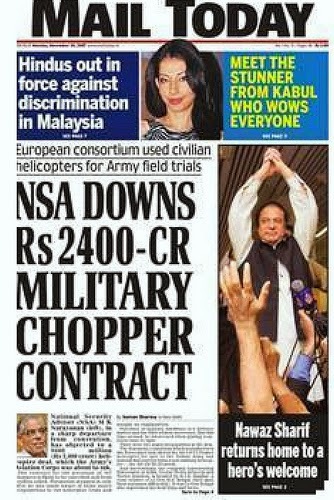 Above is the first story about the 197 choppers, which I broke in 2007, for which one of my colleagues rebuked me saying, I was pushing back the purchase of these much-needed choppers, as I didnt understand the pain of the soldiers on Siachen , etc ...that was the first cancellation, followed by the threat of a second cancellation, which was again broken by me in May 2010 . In May 2013 Eurocopter complained to MoD about delays in the deal. French Eurocopter was in competition with Russian Kamov for the 197 LUH deal for the Indian Army. With the new Govt's tilt towards indigenous products and the new Defence Minister's instructions to study each deal finalised by the previous Govt, before going ahead, seems to have been instrumental in axing the 197 chopper deal. With this cancellation, all we know is that Army modernisation has been pushed back several years now. There is something I do not understand about retired armed forces officers. On one hand we have ex-servicemen talking of various benefits, none of the associations state such 'Dalal' work is anti national and all of them should keep away. Suggest you interview some people on it.